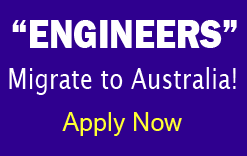 ‘ENGINEERS’ Migrate to Australia! Here is your great opportunity to obtain Permanent Residency in Australia. Australia is a country and continent surrounded by the Indian and Pacific oceans. Its major cities – Sydney, Brisbane, Melbourne, Perth, Adelaide – are coastal. Its capital, Canberra, is inland. The country is known for its Sydney Opera House, the Great Barrier Reef, a vast interior desert wilderness called the Outback, and unique animal species like kangaroos and duck-billed platypuses. Seminar in India by Australian Delegation in November/ December 2017.